Range 22-6 - Hudson Livestock Supplements Inc.Hudson Livestock Supplements Inc. 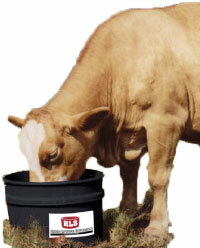 The Range 22-6 is formulated to supplement fair to late season pastures. Range 22-6 uses high sugar content molasses, natural proteins and a low level of urea to effectively stimulate the rumen, promoting feed intake and maximizing rumen efficiency. Fortified with COMAX a natural feed additive and Yucca Schidigera to promote bacterial growth and increase rumen function. Provides all the necessary minerals, vitamins and trace minerals required for cattle on pasture. Range 22-6 has the added benefit of an organic source of Selenium, which improves reproductive performance and immune response.